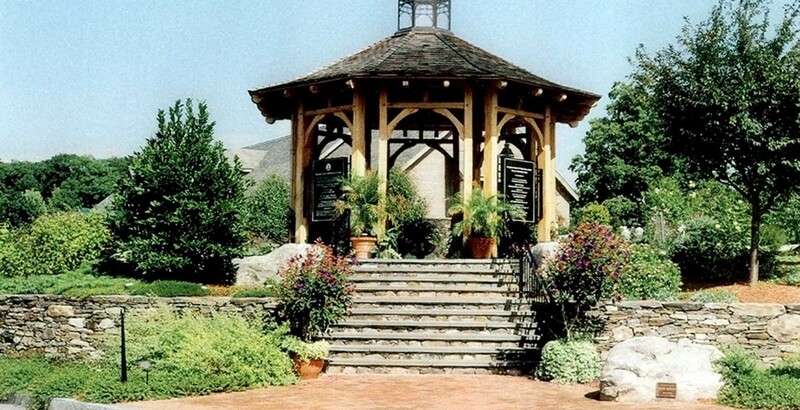 A gazebo at Tower Hill Botanic Garden, in Boylston, MA, greets visitors at the entrance. 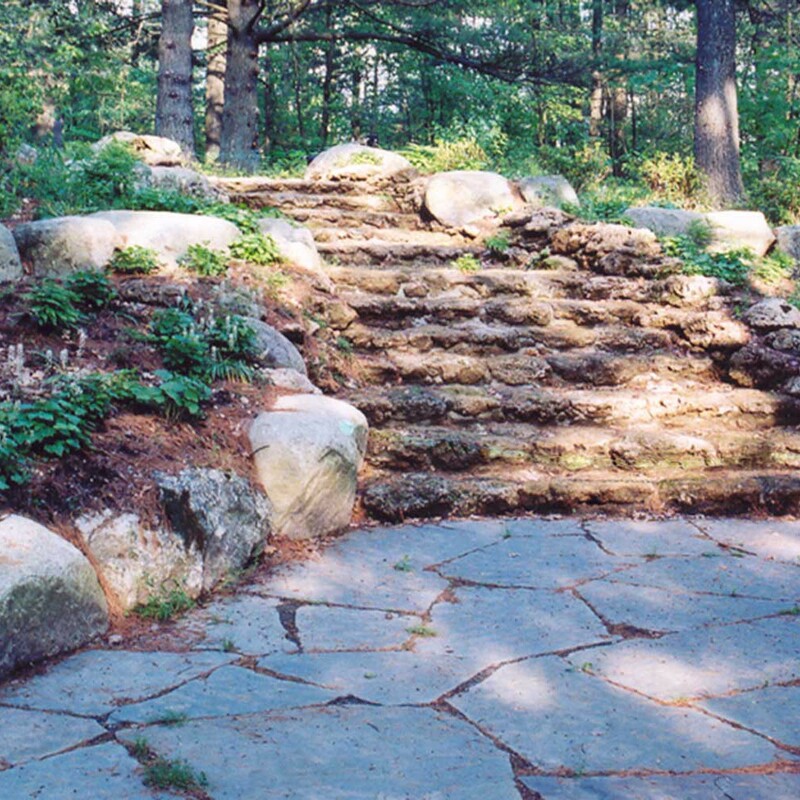 The “Moss Steps,” are a re-creation of a feature in a local private garden and Pliny’s Fountain erupts geyser-like at irregular intervals. The Primordial Pool was designed as part of the Systematic Garden.